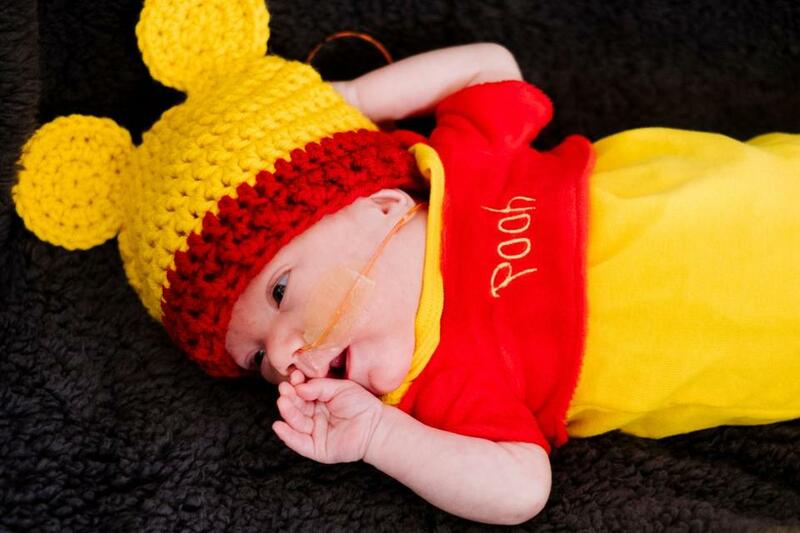 A baby in the Beth Israel Deaconess Medical Center neonatal intensive care unit was dressed as Winnie-the-Pooh. Yahmia was dressed up as Wonder Woman. Molly Wylie, the family program manager in the hospital’s neonatal intensive care unit, said Beth Israel began working with the organization six years ago when Diane Hrenko, who had twins treated at the NICU, wanted to give back. Most of the volunteers, Wylie said, are parents of “NICU graduates,” or babies who have been treated at a NICU. 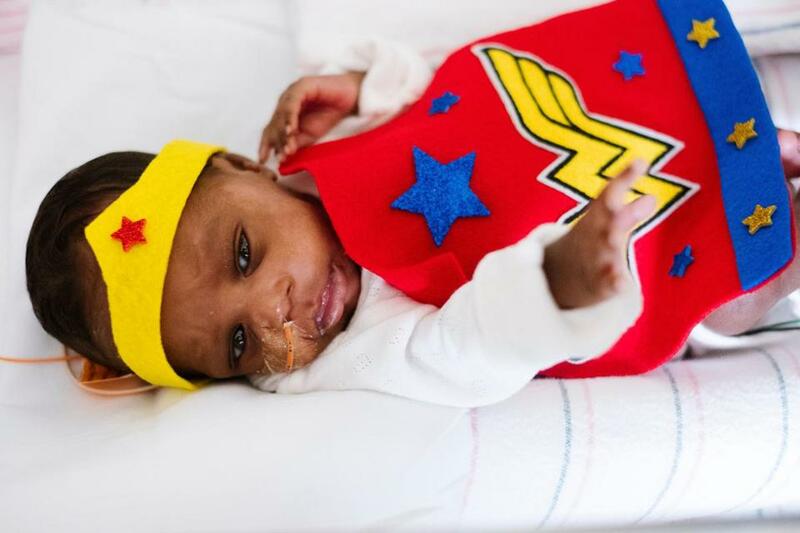 Professional photographer Kelly Lorenz, a parent of two Beth Israel NICU graduates, took pictures of the costumed babies and edited the high-resolution images for the parents, free of charge. Meet the Doublemint Twins: Babies Tripp and Hudson and Parents Marina and Matt. “In a lot of cases, this is the baby’s first photo shoot, and it’s really special. . . . We want to celebrate all of these milestones with our babies,” Wylie said. Lorenz, like others who have had their babies at the hospital’s NICU, built lasting relationships with the staff and has continued to be involved with the hospital, Wylie said. The program also gives the families gift cards, care packages, gas cards — and in honor of the Red Sox winning the World Series, hand-made baseball caps for the babies. “It’s really important. It brings the staff a lot of joy, too. 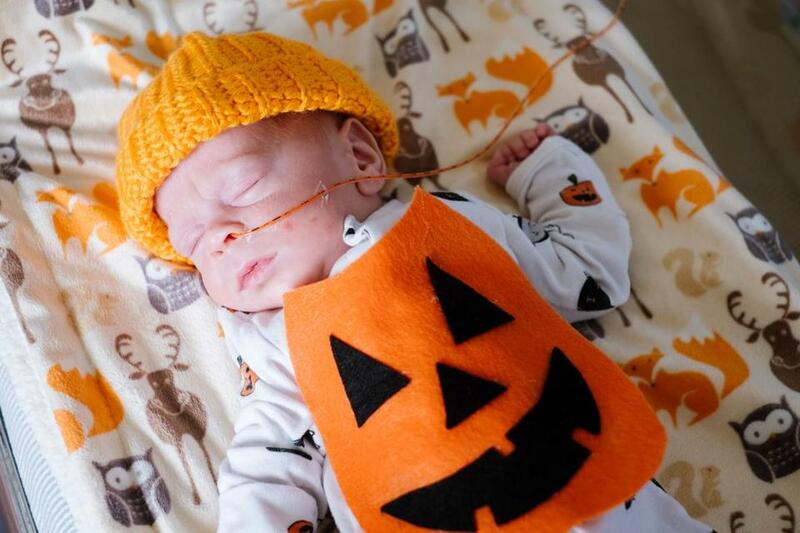 It’s a really happy day for everyone to see these sweet little babies dressed up,” Wylie said. 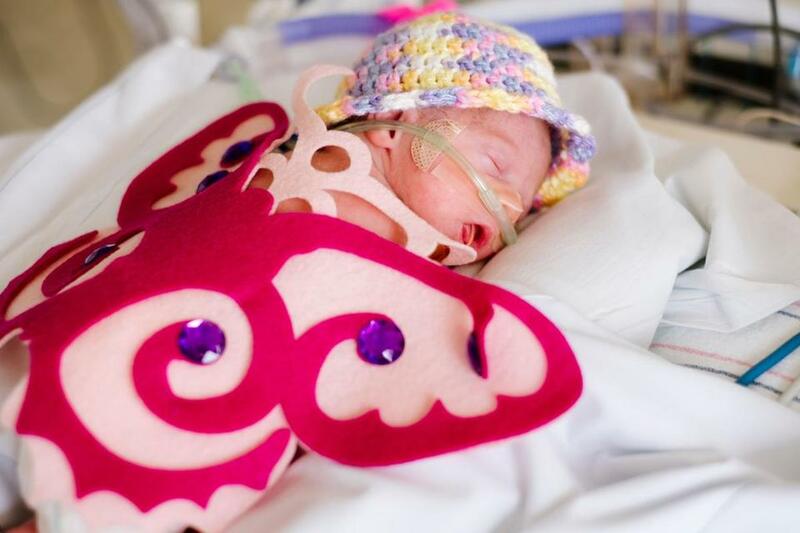 Everleigh was dressed up as a butterfly. Quincy was dressed as a pumpkin.